This is my Chess learning diary so far, it has been a long enjoyable journey and there is still so much to learn. 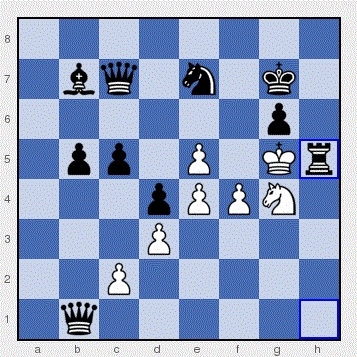 Opening with Pawn to White E4 & D4 or Black E5 & D5 Rank and files sets the initial control of the centre squares. Stay within rank 4(if white) or rank 5 (if black). Only when there is a solid opportunity to attack without loss should the rank 5/6(if white) or rank 4/3(if black) be entered. More so this concept would be doubly strengthened if supported by a piece of its own. 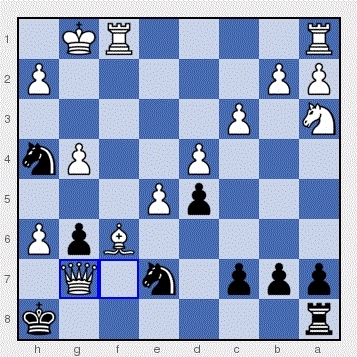 These are the weakest starting positions – F2 Pawn if playing white & F7 Pawn if playing black. These pawns are supported only by the King and are very susceptible to Queen Bishop Knight attacks. A cardinal error is to leave my pieces static. Mobilise my Knights & Bishops as quickly as possible. Playing a defensive player who blocks the file paths with Pawns, move to the opposite side of the board immediately to avoid being hemmed in and smothered. Only Castle when it is safe to do so, above all never Castle too early as an experienced player will mobilise their Pawns to open up your King’s protective Pawns, leaving him exposed. Never underestimate the strength of Pawns. Utilise their strength against early attacks from Knights & Bishops. Support my own pieces in creating pins & forks. Hold a position of protection for higher scoring pieces. Aggressive players can make it look like they are actually doing something to weaken my position, I just need to take a moment and realise that for every attack, there is an opening created. Is there a piece left unprotected from their attack? If so what can I do to monopolize on it? Search for Pinning opportunities against the King or Queen, but also be mindful of potential Pins against me. a) Take the lesser rated Rook with my Queen. b) Find a movement that steals the tempo back i.e. putting the opponents King in Check with a supported piece. c) Place another supported piece in front of the attacking Queen. There are various scenarios of Pinning against mine or my opponents pieces – ‘Utilise & Beware’. Against apparent defensive players, mobilise my pieces to the rank 4 (if white) or rank 5 (if black), don’t be tempted to over extend my pieces thinking my opponent has left an opening for me. Unless all avenues have been pursued and I can fully attack without danger this tactic is usually a ploy to open up ranks & files to attack my weaknesses. Check the rank or file of the potentially fake error/position laid out by my opponent, then immediately move pieces to support any weak areas. 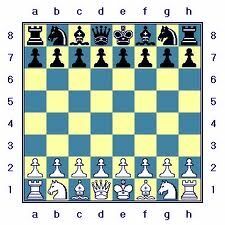 Lone Queen attacks last for a short period, it may gather up several Pawns and maybe a Knight or Bishop, but if I mobilise my Pawns supported by Bishops & Knights the Queen will soon become trapped and taken or have to beat a hasty retreat to a position not of its liking. 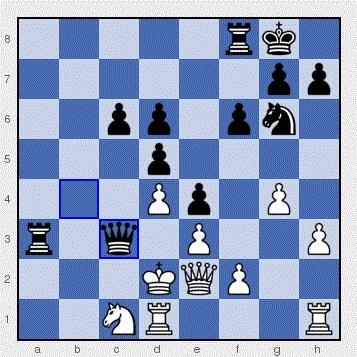 This tactic works well against any lone attacking piece. Integral to mobilise, even more important to support your pieces. 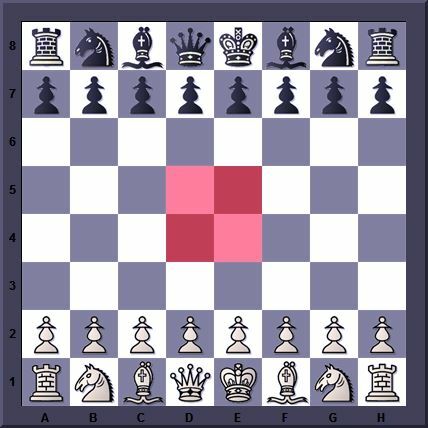 This is especially key in the end game when positioning for checkmate and essential for Opening, Mid game & End game piece collection. 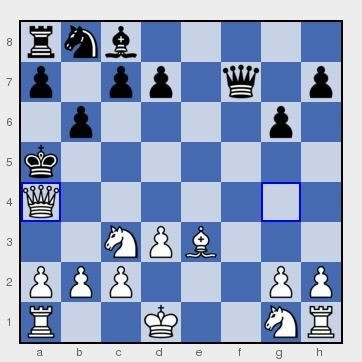 There are many opportunities to utilise Knight combination attacks, especially when it puts the King in check and places the opponents Queen(or Rook) in a take position . The opponent has lost a high rated piece for a lesser one. This is the Knights strength. Be mindful, it is easy to utilise Knights as lone cannons. Give them support and they can be a very strong piece to contend with. 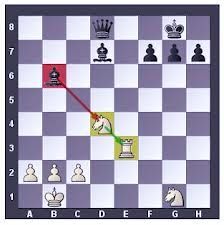 Bishops tend to work best hidden away at B7, B2 or G7, G2 supporting Queen attacks at F6, F3 or C6, C3 for checkmate. Well, that’s it for now, more diary updates later, so take care and let the journey take you wherever it may.